Ken concentrates his practice in all aspects of commercial law involving formation, and representation of, Limited Liability Companies, C-Corporations, S-Corporation, General Partnerships, Limited Partnerships, and Land Trusts. For 20 years, Ken has represented and advised clients in the acquisition and development of real estate throughout the State of Illinois. Ken has worked with subdivision developers, hospitals, churches, shopping centers, hotels, condominium developers (including air-rights condominiums), general contractors, subcontractors and construction bonding companies in all aspects of development, from identifying issues necessary from negotiation, to obtaining local governmental approval to successful construction. Ken has a wide range of experience in construction related financing including conventional financing, mezzanine financing and government back financing (including SBA and HUD backed financing). His practice includes counseling clients on ongoing corporate matters such as shareholder/member relations, directors actions, managers actions, contract review and enforcement, employment covenants not to compete, Stock Purchase Agreements, Asset Purchase Agreements, obtaining tax-exempt status (501(c)(3)); contract negotiations, lease negotiations, employment matters, succession plans, due diligence, corporate governance and mergers and acquisitions. Ken has extensive experience in corporate litigation on issues including foreclosure, mechanic liens, construction enforcement, performance bonds, and shopping center and leasehold disputes. Currently, Ken is former chair of the Illinois State Bar Association's Real Estate Section Council where he reviewed and proposed legislation for the state of Illinois and oversaw the Real Estate Section Council's CLE program. He has participated in the drafting of various pieces of legislation, including the passage of the Transfer on Death Instrument Act. 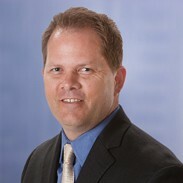 Ken also serves as a member of the Illinois State Bar Association's Construction Law Section Council. In addition to practicing law, Ken educates other attorneys throughout the state on real estate and construction related issues. Acquisition of Shopping Center for $5.5 million dollars. Represent owners in negotiation of construction of hotel for $8.5 million dollars. Represented developer in the acquisition, and development of, air-rights condominium constructing 32 unit condominium on top two floors of six story building; including obtaining all necessary easements for proper operation of units and common elements. Represent general contractor in filing mechanic’s lien to recover $1.3 million dollars of work, will full amount of lien paid.